My dulcimer arrangement of Hector the Hero, the famous Scottish fiddle tune by James Scott Skinner. The tune written in 1903 as a tribute to Skinner’s friend Major General Hector MacDonald, a distinguished Scottish general around the turn of the century. 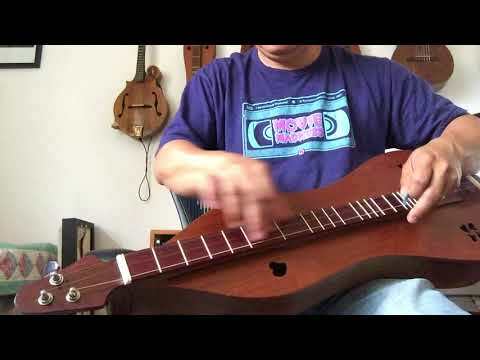 Played here on the mini jumbo dulcimer i recently build. Hey Wayne,, good to "see" you again. Great job on the dulcimer and the tune. Wow the dulcimer has a really rich resonance. Looks like cedar? I thought I might see you at KG? Hi Dean, good to hear from you. The dulcimer is made with 100 years old first growth redwood top. The redwood is from an old fence post from the Santa Cruz mountains, given to me by a good musician friend of mine. Those old wood is magical stuff for building instruments. Luckily I have enough to build a few more dulcimers like this one. Had to missed KG again this year. busy with work. If you are in the Portland area, we should meet up. Wondrous music! Love that dulcimer itself, too. This is one of my favorite tunes and you did it beautifully. I really enjoyed it. I really enjoyed this Wayne. A beautiful instrument, lovely tune and great playing. Thank you. Your mountain dulcimer is lovely both in looks and sound, Wayne. And your play of the tune is wonderful, too. Very beautiful - your playing and the instrument!